The property consists of three adjacent semi-detached buildings on a large property with a grove of pecan nut trees. 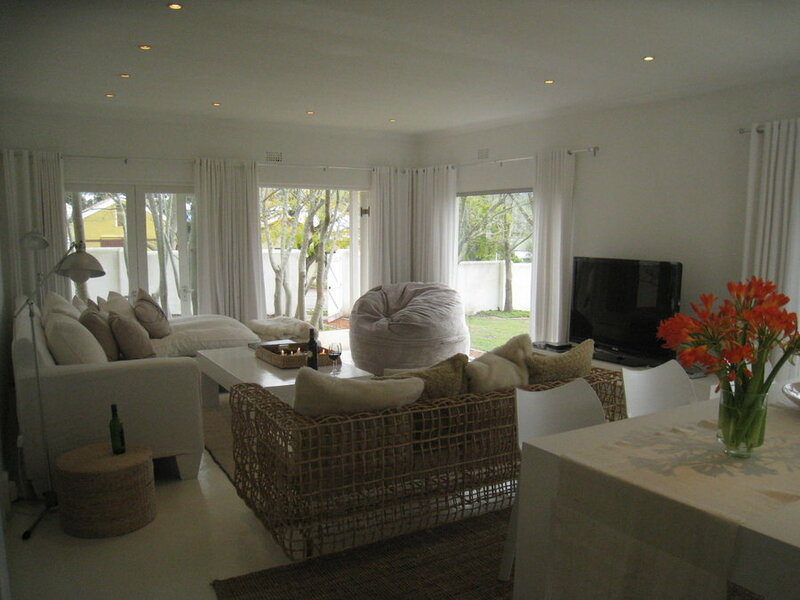 The main house has a open plan lounge and kitchen with three bedrooms, shower and WC with wrap around veranda. 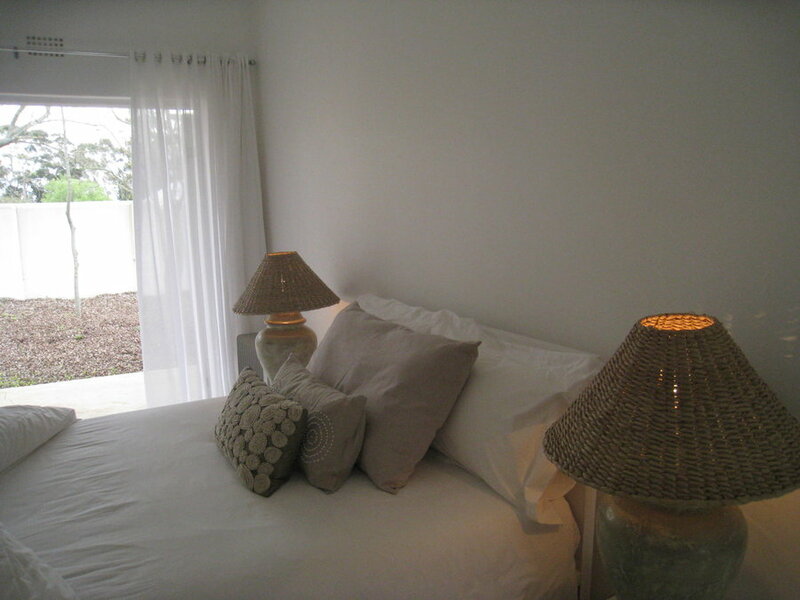 A bedroom with en suite shower and WC has it own entrance from the veranda. 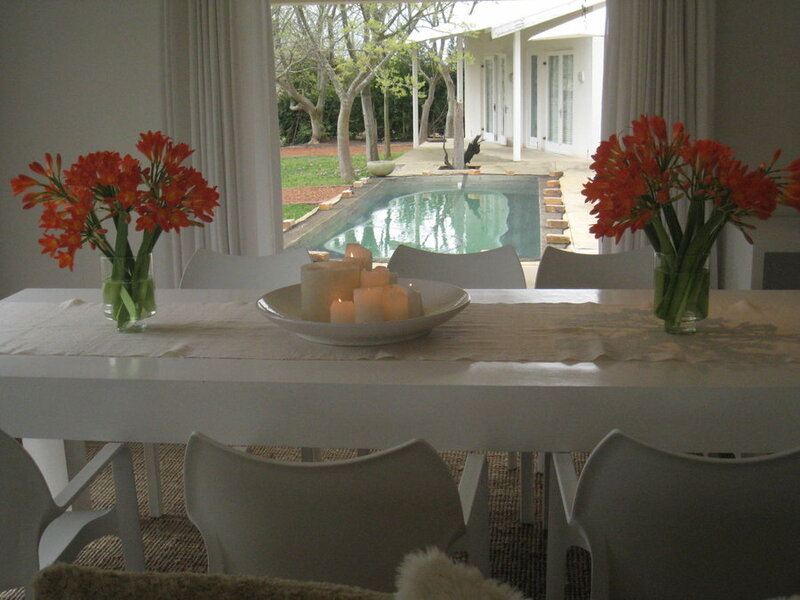 On the far side of the pool is a cottage with king size bed, sofa and en suite bath and WC. In between is a washing room and WC. The property is in rural village with 5000 inhabitants. The village is on the national route (N2) between Cape Town, the Garden Route and the southernmost point of Africa, i.e. Cape Agulhas. Rolling hills of wheat and sheep pastures surrounds the town with the Sonder End Mountains to the north. 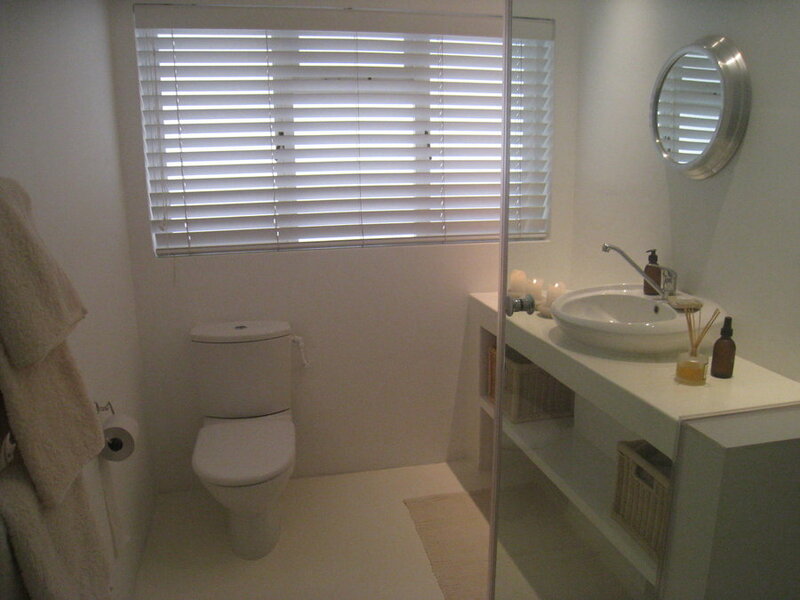 King Size Bedroom in detached cottage with en suite bath and WC One Queen Size Bedroom with en suite shower and WC. Own entrance from outside. The two Queen size and one Double bedrooms share a shower and WC. Overberg, Hermanus and Breede River Wine Routes for day trips. Hermanus, Gansbaai and Cape Agulhas (Southernmost Point of Africa) nearby for day trips. Cape Town International Airport is 150 km away, an approximately one and a half hours' scenic drive on the N2. Long range luxury bus coaches between Cape Town and the Garden Route stops six times a day in town (a mere five minutes walk from the property). The back packers mini bus , i.e. Baz Bus also stops twice a day in town. Friendly, fresh and sunny home with large walled leafy garden on three plots providing privacy in a small rural village.